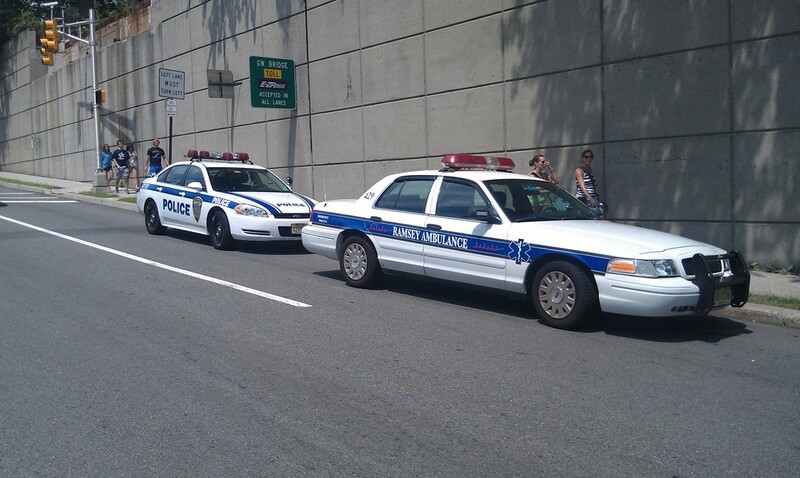 In this section you will find some pictures of our current fleet. 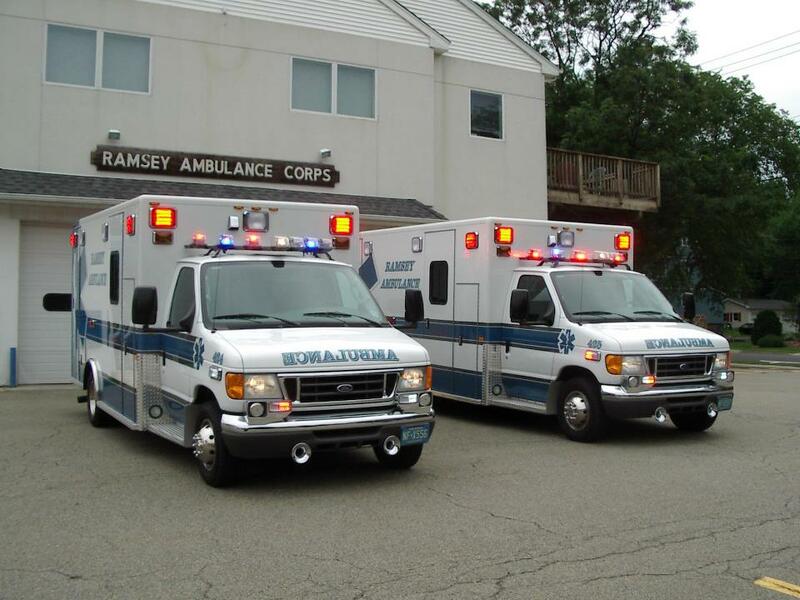 Ambulance 424 - Shown on the left, a 2015 International 4300 with a MaxxForce DT engine and an Allison transmission. 424 was built by Horton Emergency Vehicles and delivered in September of 2014 by VCI Emergency Vehicle Specialists. Ambulance 424 & 425: 2007 Ford E-350 Type III ambulance conversions that joined the department in 2008 are nicknamed "the twins" since they were custom built side by side by PL Custom. The 2007 Ford E-350 model 424 has since been retired and replaced by the 2014 Horton shown above. 425 - Dedicated to Honorary Member Larry Inserra Jr.
Command Vehicle 429: 2005 Ford Crown Victoria (Retired from Service by Ramsey Police). This vehicle serves as a command vehicle normally staffed by a command level officer. Rapid Response Vehicle 419: 2011 Chevrolet Tahoe SSV. This vehicle is used to precede an ambulance to a request for emergency medical services, to initiate patient care faster and provide support services for the department. The emergency vehicle conversion was done by Odyssey Emergency Vehicles. LSU - 1: Logistical Support Unit 1 which is a trailer that was purchased in 2012 with funds donated by the Ramsey Greater Unico. 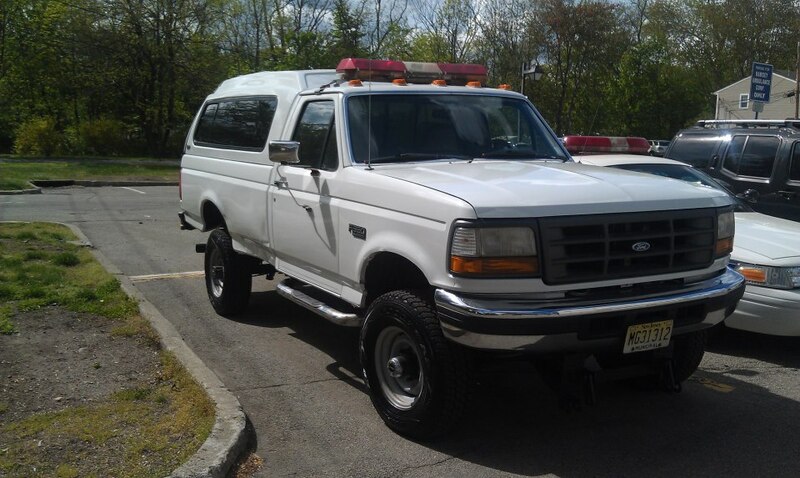 Special Operations Unit 418: 1997 Ford F-350. Retired Ramsey DPW pick-up truck used for scenes requiring the utilization of the Field Treatment Unit or EMS Bike Unit. Primary vehicle used to tow LSU-1. White paint job donated by King Crash Auto Collision of Ramsey.